In a major defeat for secret money in politics, a judge ruled that dark money groups that spend at least $250 in independent expenditures—a key type of political ad—must report every contributor who gave at least $200 in the past year as well as those who give to finance independent expenditures generally, throwing out an illegal three decades old regulation that was used to avoid disclosure and changing the legal landscape for political spending. 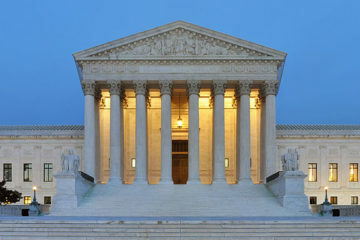 The decision in Citizens for Responsibility and Ethics in Washington (CREW) v. Federal Election Commission (FEC) and Crossroads Grassroots Policy Strategies, handed down late on Friday, declares that the law unambiguously commands more disclosure than the FEC has required in 30 years, restoring Congress’s intended full disclosure of those making contributions to groups that fund independent expenditures—ads that explicitly endorse or oppose a candidate for office. The case stems from an FEC complaint filed by CREW in 2012 against Karl Rove’s Crossroads GPS over its failure to disclose the donors behind $6 million in independent expenditures in the Ohio Senate race. Even though Rove told a gathering of contributors that a donor had said he really liked Republican candidate Josh Mandel and had made a $3 million “matching challenge” contribution, the FEC said the contributor’s name could stay secret because he did not earmark it to pay for a specific ad. The court yesterday invalidated the regulation that decision was based on, saying it interpreted the Federal Election Campaign Act much too narrowly. Citizens for Responsibility and Ethics in Washington (CREW) is a nonprofit legal watchdog group dedicated to holding public officials accountable for their actions. For more information, please visit www.citizensforethics.org or contact Jordan Libowitz at 202-408-5565 or [email protected].